Mark's Tickets is the best place to find tickets for San Diego Chargers fans. Just check this page for any new events or schedule updates throughout the year. We sell tickets to every San Diego Chargers game around the world. We know how passionate San Diego Chargers fans can be about football, so we make sure to have hundreds of tickets for every game available right up until it starts. For those looking for cheap San Diego Chargers tickets, we offer tickets starting at very low prices (many times below face value). We offer tickets in most sections of every venue that you can see San Diego Chargers. Simply choose the city or venue that you are interested in below, and you will be able to see all of the available seats. Do not forget that Marks Tickets also specializes in sold out San Diego Chargers tickets. No longer will sold out shows prevent you from seeing San Diego Chargers. The San Diego Chargers are a professional football team that plays in the NFL. The Chargers play their home games at Qualcomm Stadium in San Diego, California. With 16 games per year, and 8 being home games, The San Diego Chargers are a professional football team based in San Diego, California. They have been members of the Western Division of the American Football Conference (AFC) in the National Football League (NFL) since 1970. The club began play in 1960 as a charter member of the American Football League, and spent its first season in Los Angeles, California before moving to San Diego in 1961. The Chargers play their home games at Qualcomm Stadium. The Chargers continue to be the only NFL team based in Southern California, with no teams in Los Angeles since 1994. The Chargers won one AFL title in 1963 and reached the AFL playoffs five times and the AFL Championship four times before joining the NFL (1970) as part of the AFL-NFL Merger. 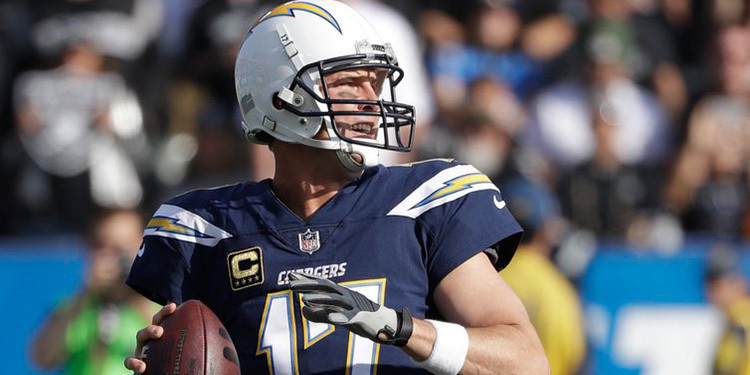 In the 34 years since then, the Chargers have made ten trips to the playoffs and four appearances in the AFC Championship game. At the end of the 1994 season, the Chargers faced the San Francisco 49ers in Super Bowl XXIX and fell 49–26. The Chargers have six players and one coach enshrined in the Pro Football Hall of Fame in Canton, Ohio: wide receiver Lance Alworth (1962–1970), defensive end Fred Dean (1975–1981), quarterback Dan Fouts (1973–1987), head coach/general manager Sid Gillman (1960–1969, 1971), wide receiver Charlie Joiner (1976–1986), offensive lineman Ron Mix (1960–1969) and tight end Kellen Winslow (1979–1987).